1MDB- What if the revaluation exercise goes wrong? 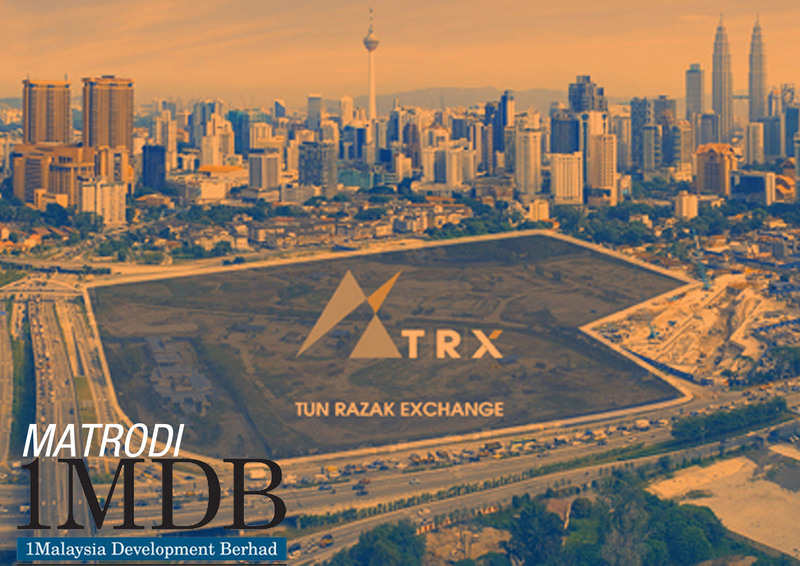 Once started as the Terengganu Investment Company, this sovereign wealth fund in the state was renamed to 1MDB in 2009. Originally, 1MDB was using Terengganu’s oil royalty to venture into Oil & Gas business. The Saudi’s PetroSaudi was roped in. They wanted to invest in renewable energy because that’s the future. After two years, with RM11 billion fund placed in Cayman island, they can only put in an oil reserve in the Caspian Sea. After realising how volatile the O&G industry is, they decided to abandon this project. Maybe because the oil in Caspian sea was not a renewable energy. So the Saudi exited and replaced by the UAE’s Aabar. Together they form a company called Abu Dhabi Malaysia Investment Company (ADMIC). Now we have been told this is not a sovereign wealth fund, but a strategic development company involved in the energy sector and real estate development. Growing by incurring debt is normal. But growing with huge debt is another thing. A 5 year-old company is not that old and experienced. More often than not banks will refuse to finance them. Therefore credit must be given to the management because they have the muscle to incur such huge debts. Mind you we are talking about RM49.1 billion (current value). RM49,100,000,000. Normally, this can only be made possible if the government persuade the local banks to lend or the government assure foreign banks of certain guarantee. The government does not explicitly guarantee for most of its debt. But the government is still indirectly incurs the debts through the company because they are the government’s subsidiary company. Aren’t they supposed to be a conservative investor and can’t make a loss? Already RM600 million was announced for last year. The acquisition of its energy assets was not overpriced. But Ananda Krishnan strikes gold with RM2.5 billion profit. Why pay 42% more when there is no other competitive bidding for that asset? The deal for Genting Power Plant is even more perplexing. Genting’s concession ends in February 2016. The same RM2.3 billion could be used to purchase a power plant in the Philippines with 17 years of concession. Under whose world-class consultants did they pursue these transactions? 1MDB assets stood at RM51.4 billion. But these assets largely derived from the revaluation of land and energy assets. The asset is on paper, but the debt is real. And the fees paid to banks are also real. What if the revaluation exercise goes wrong? Remember, flipping the asset through Initial Public Offering (IPO) could also go wrong. Finland is a 3-hour flight from Manchester. This is a Nordic country, endowed with many trees for a very small population. I was told that forests cover about 75 percent of Finland’s land area. 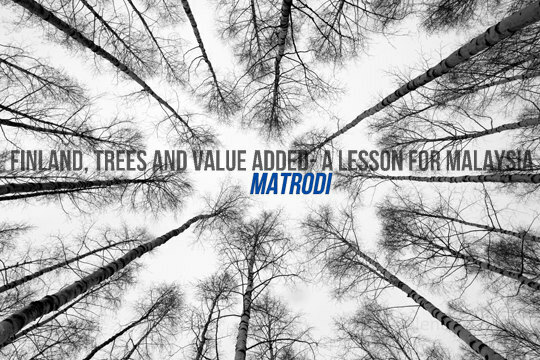 It means that for every Finn, there are nearly 4.5 hectares of forest. No wonder they are the most forested country in Europe. But that’s not the point. I am particularly impressed with the way they are developing their economy. Given the vast amount of trees, anyone would suggest Finland should export its wood to the rest of the world. And they have done it. Somehow, throughout the practice they may have realized that poor countries export raw materials and rich countries export more complex products made from raw materials from poor countries. Apparently, Finland also does add value to its wood by making furniture and paper, but all-wood related products only represent less than 25% of Finland’s export. Well, how do they become so rich and developed? Not content of being a mere exporter of furniture, the Finns is exploiting the raw materials that they have in a different way in order to be a developed society. It is a well-known fact that the repeated process of repairing and replacing their axes and saws as they were chopping wood was instrumental in making them the producer of good machines that chop and cut wood. Soon the Finns realized that- why should they cut the wood manually? Maybe they were too tired. Whatever, they automated the machines that cut. After that, they used their expertise in producing automatic machines to develop technologies in other industries. Eventually they ended up in Nokia. Today, 50 percent of Finland’s exports (read: wealth) come from different types of machines. The icing of the cake is that- they can afford to preserve its forest. Today we read about rampant illegal or legal logging activities in Malaysia. The size of the forest that has been cleared is about hundreds of football field. We were told this is the price for the economic development. Somehow Malaysia- the land of many natural resources is taking the easy way up to develop the economy. Little did they know that if poor or developing countries want to get rich, they should stop exporting their resources in raw form. Instead, they have to maximise the resources by adding value to them. Otherwise rich countries will get the lion’s share of all the hard jobs. Singapore- to some extent- knows this very well. That they have imported our raw water from Johor and later sell to us the processed water at the higher price is a testament of this practice. After all, Switzerland- the country of the finest chocolate in the world has no cocoa. So does China- the producer of computers that does not even make memory chips. However, the Finnish story taught us that the more promising path to be a developed country does not only confine to adding value to raw materials- but adding capabilities to our capabilities. As I currently live in Manchester, it is worth mentioned about Britain’s coal industry in the early 18th century. They started by just making the steam engine as a way to pump water out of mines. From then on, the steam engines were modified to revolutionize manufacturing and transportation and subsequently changing the world history. Quite interestingly, we can see how United Arab Emirates (UAE) have used its petrol dollar to invest in infrastructure and transportation. It may be the Disneyland for adult with the largest, biggest, expensive and stupidest thing one could imagine, but undoubtedly Dubai and Abu Dhabi is becoming the tourism and business hub for the people around the world. Again, it’s all about learning new things, skills and adding capabilities by using raw materials as a launch pad to be a developed economy. We are actually not that bad when it comes to generating wealth and technologies from raw materials. We didn’t screw up like Pertamina in Indonesia. Our Petronas is currently as good as BMW in terms of profit and size. Sime Darby and Felda have become a global player in the plantation. The Battersea Power Plant Redevelopment in London is a solid proof of our ability to develop multi-billions real estate project. Certainly Malaysians are not that bad. But for how long can we rely on Petronas’ oil reserve? Until when most of the workers in plantation area have to content with lower wages? And most importantly, when can we actually start to preserve our forests, our environment without having to forego the economic development? South Korea and Taiwan have progressed so much in technologies thanks to their quality tertiary education. Samsung’s products are wanted by one third of the world. And they don’t even have the raw materials like us. Some people may quick to blame the government or the past prime ministers for not doing this and that. But when the same government tries to produce a national car (because a developed country is a producer, not the user), too many damaging campaigns have been directed to this effort. While there are some valid criticisms, most of them are simply unproductive. For this person, even it was a mistake to get the independence from the British. Anyway, looking at the Finland success story, what do you think about Malaysia? Which industry or area is our best bet to become a developed country by adding capabilities to our capabilities?